Breaking curses Christian deliverance website of Jesus Work Ministry. Breakthrough biblical principles on breaking all kinds of curses. “Christ redeemed us from the curse of the law by becoming a curse for us, for it is written: ‘Cursed is everyone who is hung on a tree,’” Galatians 3:13. Part 1. 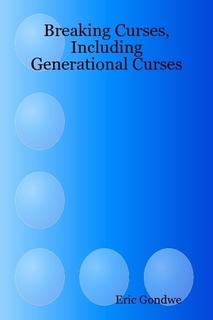 What are generational curses? Part 2. Who merits generational curses, i.e. who deserves generational curses? Misunderstanding on familiar spirits. What are familiar spirits? Christian website on breaking curses at BreakingCurses.com. With a free online book on breaking curses & resources on breaking curses. The main and official ministry website for all the various websites of Jesus Work Ministry is at JesusWork.com. It has the official contact info and other administrative info for all the websites, and entire ministry.